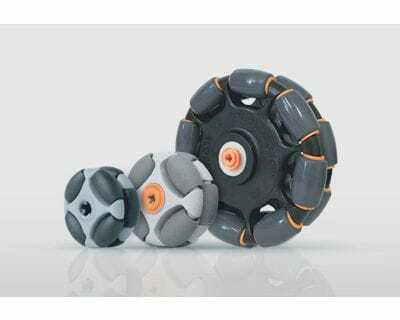 Built with the durability and ride quality of an industrial floor wheel, the multi-directional Rotacaster is a high performance robotic wheel. 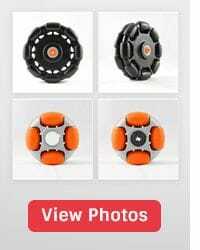 Its unique construction makes it the toughest, smoothest and fastest robotic wheel on the market with a choice of polyurethane or Santoprene rollers for outstanding durability and traction. 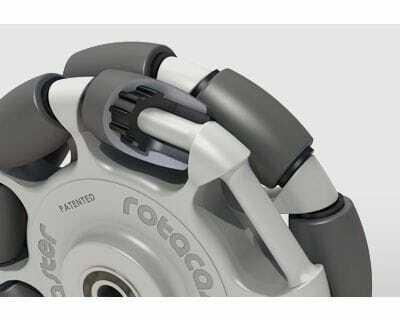 The Rotacaster familiy includes robot wheels with 125mm, 50mm and 35mm diameter. 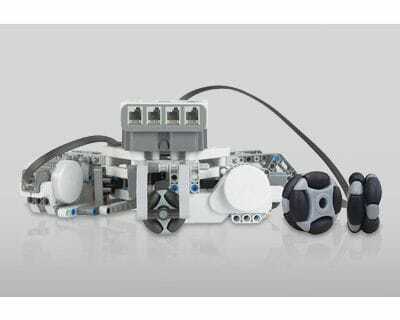 Festo's Robotino XT (Germany) uses Rotacaster Robot Wheels. 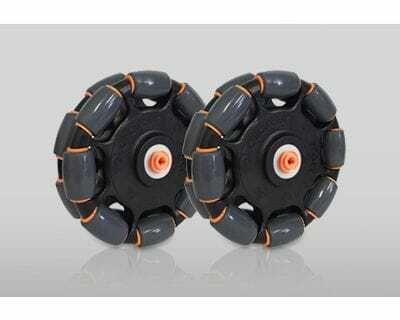 Rotacaster Wheels have no pins or metal inserts (125mm Cross Section). 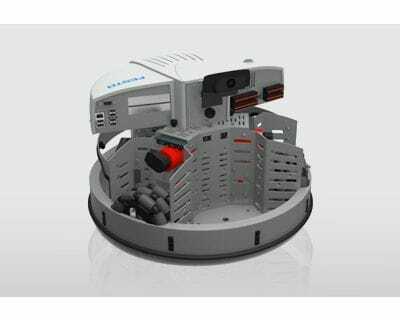 Rotacaster Wheel has recently achieved success internationally with providing wheels for Festo's Robotino (Germany), ZutaLab's robotic pocket printer (Israel) and Esclatecs' Estel Wheel Chair (Spain). 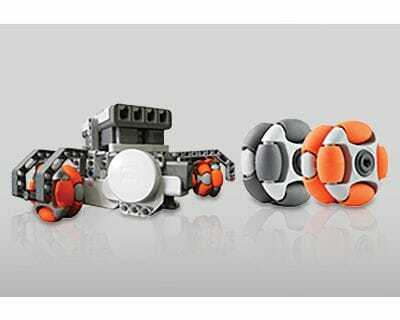 35mm robotic Rotacasters are available with Lego or Vex compatible hub. Alternative hubs are available for commercial conveyor applications. 50mm robotic Rotacasters are available with a Lego compatible hub. Alternative hubs are available for commercial conveyor applications. 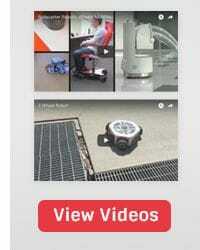 The robot wheel combines the freedom of 360 degree mobility with the stability of a fixed mounting, achieved its unique patented construction.